I am currently reading Asian Monsters, an anthology of stories about the monsters of Asia. This is the third in the monsters series from Fox Spirit Books, edited y Margret Helgadottir. I'm not getting as much time to read this a I would like because the size makes it awkward to hold while I'm feeding the baby - which is just about the only time I sit down for any length of time unless I'm working. The stories that I've read so far are wonderful and the book is beautifully presented. I'll be writing a full review of this, so expect to hear more about it. I finished reading this last night and it was fantastic. This was the first Joe Hill book that I've read. I've always been a little wary of reading him because I'm a massive fan of his dad and I didn't want to judge him by those standards. Turns out there was no need to be nervous, he's a very talented writer. 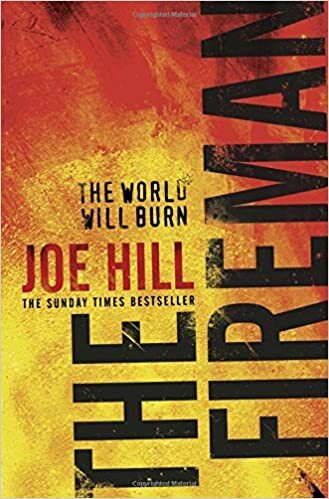 The Fireman is a fairly long book but it kept me riveted all the way through. An apocalyptic story of a virus called Dragonscale which ultimately causes its host to self-combust, the book focuses on pregnant school nurse, Harper Grayson. I felt that she was a well-written and compelling protagonist. In fact, all of the characters were well-written. There were plenty of moments of beauty and humour despite the fact that the world was falling apart. I really enjoyed this book and highly recommend it. 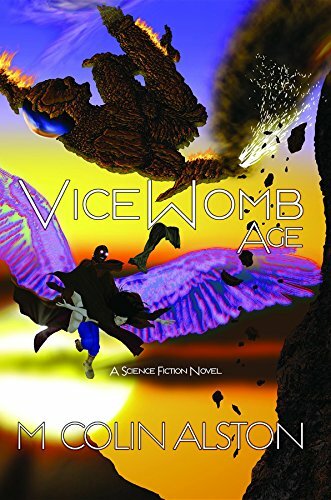 I will most likely start reading Vice Womb Age by M Colin Alston next as it's next on m review list. From the blurb, I'm interested in how the technology of the nanoparticles works and I'm curious about the matriarchal religious order. Have you read any of these books? Do you want to? Leave a comment!